WordPress.com is one of the latest entries into the field of hosted weblogs. I signed up for an invite awhile ago and received one sometime last week. My site over there probably won’t see too much action, but it’s useful for testing purposes. Right now, the service lacks somewhat in customizability (mostly on the appearance front) but it does offer a preview of what WordPress 1.6 will have to offer on the administration side of things. It’s also an example of the WordPressMU (multiuser) install, although most people probably don’t care too much about that. I have an invitation to the service to give away, figured may as well offer it up here. If you’re interested, just drop me a comment and let me know why it should be yours. I’d rather give it to someone who actually wants to start their own weblog or migrate from blogspot instead of someone who’ll use it sporadically like me. It’s Friday and my scifi fix will go unsated, I think it’s time to go into hibernation. On the plus side, Serenity comes out today. The Corpse Bride Stripped Bare details some of the work and technology that went into Tim Burton’s latest movie. The whole thing was shot with Canon digital SLR cameras and edited with Final Cut Pro. It’s one of those internet memes you don’t want to post, but you should really check out this trailer for the Shining. It shows you a little something about trailers and advertising. Make your own phone recorder using an old modem, remember to notify those being recorded. 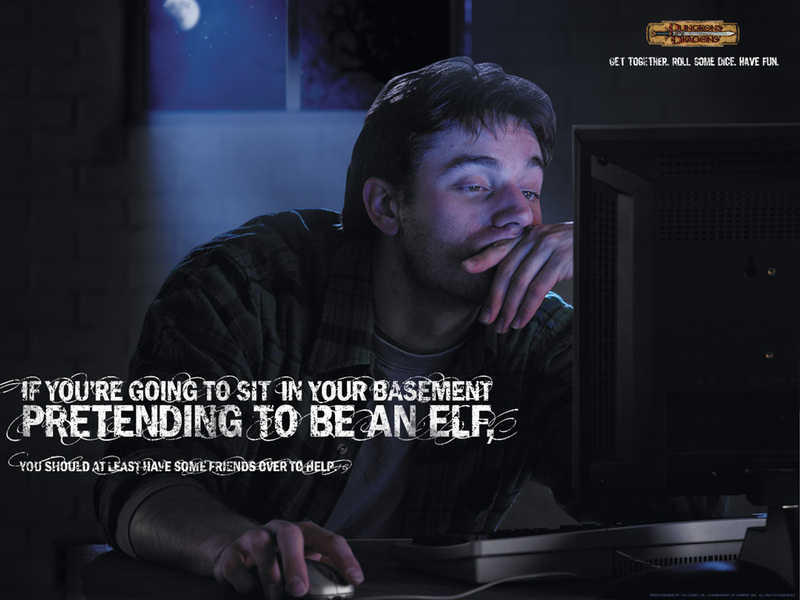 Check out this D&D ad against online role-playing games (via BB). If you’re going to sit in your basement pretending to be an elf, you should at least have some friends over to help. The new Harvey Danger album is available for free online via Bittorrent or direct download. They give a lengthy explanation for the rationale on the site. The $100 laptop is moving closer to reality. The article has some images of the device, it has a handcrank for locations with unreliable electricity. Marc has written up a WordPress plugin for Audioscrobbler/Last.fm that will display a listing of the last few songs played.